The Transaction Support Centre (TSC) in Khayelitsha has been operational for just over six months and, as at 13 December 2018, has received over 100 cases from clients looking for assistance with property-related issues. While the vision of the TSC is to support property transactions, most of our cases deal with administrative failure – title deed backlogs and housing administrative issues, and poor engagement with formal processes – informal cash sales and intestate issues. This case study series aims to document the real-lfe challenges faced by TSC clients as well as the process we have followed to try find a solution to their problem. In doing so we aim to highlight the policy, legislative and administrative issues that require attention in order to make high-potential property markets, like that in Khayelitsha, investment ready. 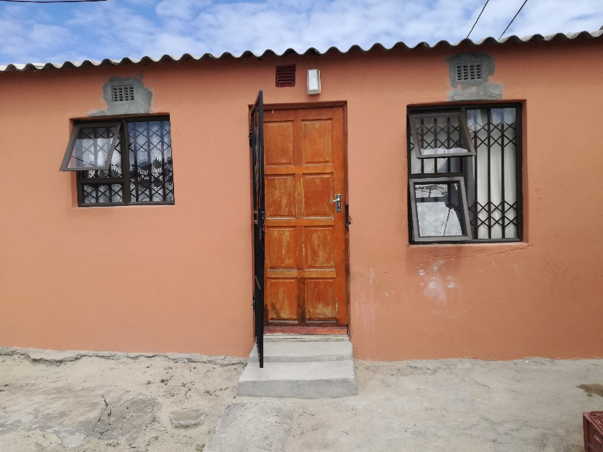 The first case study describes the journey of David, a security guard, who moved out of a shack in Khayelitsha and into his first formal home which he bought with a mortgage bond and the help of a FLISP study. David’s case study highlights the inefficiencies that currently exist in the lower value property market, many of which we are trying to directly address through the TSC. David is a security guard at a school in Camps Bay, where he has been working for over ten years. He earns R7,200 per month. He used to live in a shack in Khayelitsha with his wife and children, and for years had been talking about buying a house in Cape Town. In September 2016, and with considerable support from one of the parents at the school, David and his family finally moved into their own house in Khayelitsha, that he bought for R140 000 with a mortgage bond and the help of a FLISP subsidy. With the title deed registered in his name, David is a homeowner. This case study describes his journey. In 2015, a first effort to find a house took David to Delft, a large township in Cape Town, not far from Khayelitsha, and about 33 kilometres from where David works, in Camps Bay. The township comprises roughly 28 000 formally registered houses, most of which were built as part of the government’s national housing subsidy scheme. While the state imposes an 8-year resale restriction on government-subsidised houses, many of the houses in Delft are older than eight years, and are therefore eligible for sale. House prices are generally lower than in Khayelitsha and there are more properties for sale in that area. First try: David looked at about five or six houses in Delft but while the prices seemed affordable, none were available for legal purchase: either the name of the person on the title deed was not the same name as the person who was trying to sell the house, or the house was still subject to the eight year restrictive clause in the title deed. So, David decided to buy a shack and fix it up a bit. His previous shack had burned down. While he lost everything he owned, his wife and children were not hurt. But he was scared of fires and worried there would be another one. Second try: a few months later, David again considered the possibility of buying a house. A parent at the school called up her contacts – informal estate agents around Delft and Khayelitsha, and David again went shopping for a house. He found a BNG house – far nicer than the standard RDP house. The house had been built in 2010 and so there was the restrictive clause on the title deed, preventing sale until 2018. David learned however, that in certain cases he could apply for a waiver. The title deed was in the name of the seller’s mother, who was on her deathbed in the Eastern Cape. The seller had neither power of attorney nor a will to assert her rights to sell the property. A formal sale looked very difficult. A second house also had a restrictive clause on the title deed, but was at least in the name of the seller. The seller could apply for a waiver from the Province on its pre-emptive right to purchase the property, but this is only granted when the seller can demonstrate a feasible plan with regard to accessing a subsequent housing opportunity. In this case, the seller did not have housing plans: he wanted to buy a car. A few days later, David heard about another house for sale in the neighbourhood of one of his colleagues at work, but by the time he got hold of the owner, the house had been sold; to pay for a funeral. Eventually, David lost hope of finding a house. He bought a car for R50 000. He borrowed R25 000 from a bank, and R25 000 from family to pay for it. It was an old pick-up truck in terrible condition. He sold it a few months later, and finished paying off the loan in full and on time. Third try: Then in August 2016 David found a house in Site B, Khayelitsha. He drove with his employer to the house, and she filmed it so he could show the bank. It was a two-bedroomed house on a small stand, with the toilet and tap outside the house. The pre-emptive clause had lapsed, but the owner of the house had died without a will. The seller was the owner’s only daughter, the common law wife of the man who was showing the house. She wanted R140 000 for the house. David agreed to buy the house. He thought if he got a FLISP of R65 850, he would easily afford instalments of R1200 per month on the required mortgage. David’s employer sent the footage of the house to the bank, and filled in all the forms with David to apply for a mortgage and a FLISP. The seller put David in touch with a conveyancer, who had been appointed by the master of the court to deal with the estate. David, his wife and the employer went to see the conveyancer so that they could sign all the documents. The legal bill came to over R7 300 in line with standard tariffs, plus another R10 000 payable by the seller to handle the deceased estate. David’s employer then paid the seller in cash for the house once the bank approved the mortgage, and delivered all the required documents to the Province for the FLISP application. That was in October 2016. The employer accompanied David and his wife in a visit to the bond attorney in December. The attorney tried to explain how the instalment was calculated. She asked David if he had ever heard of prime interest rate (no, he hadn’t), and then she stopped explaining and just told David and his wife where to sign. 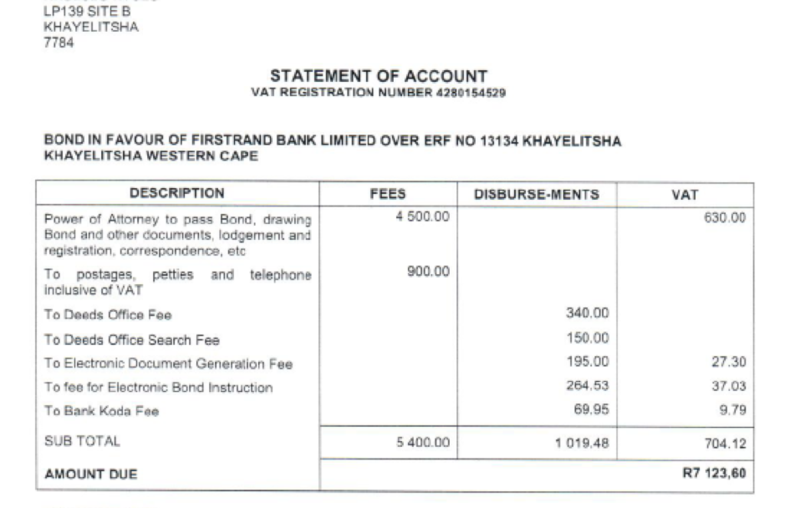 This step in the process also came with a fee: around R7 100 for a bond of around R84 000. The attorney explained that this amount was not going to be included in the bond amount and that David would have to pay for it himself – an unexpected expense. 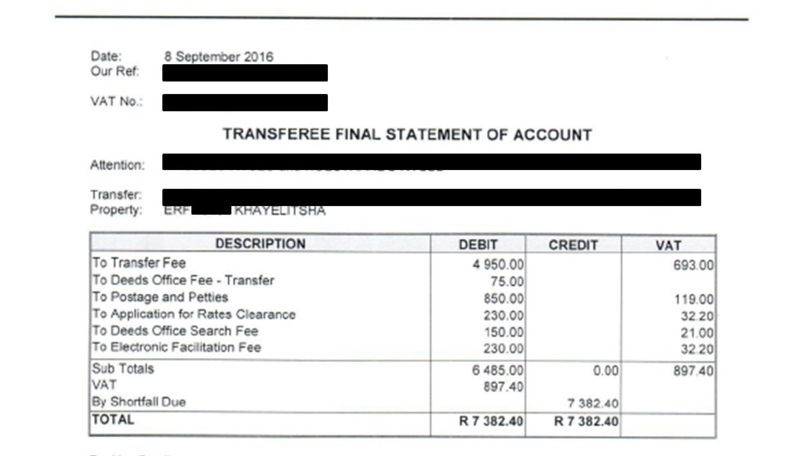 He did not have R7 100, so the employer made the payment, and agreed with David terms for how he would pay it back over time. As part of the loan finalisation process, David had to complete a multiple-choice test so that the bank could assess his understanding of the mortgage loan mechanism, his rights and obligations. The questionnaire was in English – there were no copies of the test available in his first language, Xhosa. So David’s colleague, another security guard at the school helped him complete it. Then he waited. And waited. Nothing back from the Province, and so nothing back from the lawyer and no progress on the transaction. One Sunday morning in February, David called his employer with some bad news. The shack next door to David’s house had burned down, and as a result, his house had been damaged. Because the mortgage had not yet come through (because the FLISP had not yet come through) there was no insurance on the property. If the damage was extensive, he would have to tell the bank, and they would probably pull out of the transaction, leaving the employer who had put up the cash for the sale exposed. Thankfully, the damage wasn’t too bad – nothing structural – and it looked like it could be repaired easily. David explained that his neighbour living in the shack next door had gone out on Saturday night and left a candle burning in the shack. David had been woken by neighbours shouting ‘fire’. He could see the flames at the window of his kids’ bedroom. He was so scared he could not open the security door to his house and so passed his children out the window of his bedroom and then climbed out himself. It was only when he was outside his house that he realised he was naked. His neighbours helped him get all his things out of the house, and they managed to put the fire out. Initially the neighbour whose shack had burned down promised to help repair the damage because he is a plasterer and painter, but then he disappeared. A collection was arranged at the school where David worked, which raised enough money for the repairs. David’s employer suggested that he ask the neighbour not to rebuild the shack, as it would pose an on-going fire risk to David’s property and the other properties adjoining the shack. But following the fire, the City gave the neighbour the materials to rebuild the shack. The City offered nothing to David or other neighbours to repair the damage to their houses. 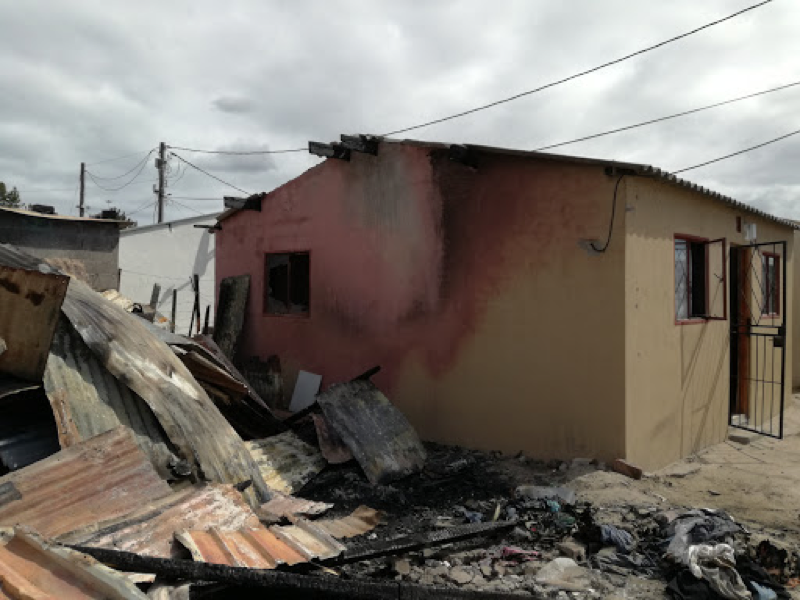 The best the City could do was to send a building inspector from the Khayelitsha office to go past and check that the shack was not built too close to the surrounding houses. Khayelitsha, like many other so-called townships in Cape Town, is zoned SR2, or informal residential, despite the fact that many such areas have, in fact, been formalised. In these areas, residents are permitted to build shacks without planning approval. However formally built houses are required to comply with the building code. This zoning which presumably seeks to accommodate lower income households who cannot afford to formalise their dwellings, does not consider the impact of a shack being constructed next to a formal house. It seems like a case of urban governance gone wrong, with unintended but entirely predictable consequences. It undermines the rights of good citizens who want to invest in property and the lenders who might be oblivious enough to matters pertaining to zoning schemes to support them. Beyond repairing the damage, David found more money to invest in better window frames and to build a wall around the house. He tiled the floor and painted the house. In March, David got a call from the conveyancer to say he needed an electrical certificate. 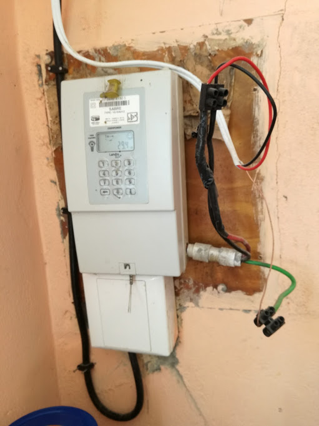 When the employer found an electrician who works in Khayelitsha, the quote was R3 500 to fix the electricity board and issue the certificate. David found someone else to do the job for R1 500. In June, the conveyancer could finally inform David that everything had fallen into place and he could lodge the transaction at the deeds registry. With this in place, the bank paid the mortgage bond to the conveyancer, who then paid them over to the employer, who had bridged the cost of the sale in the beginning. 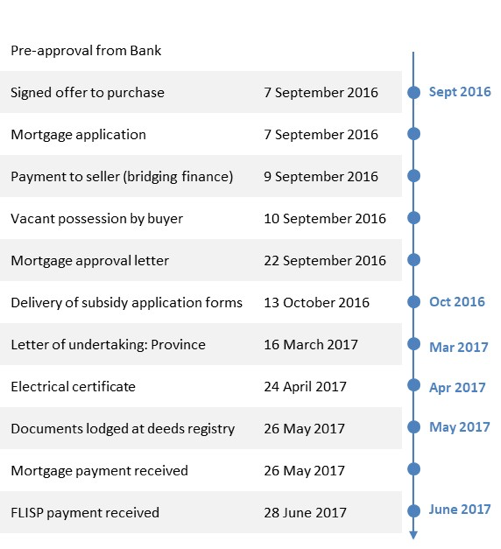 A month later, ten months after the seller had been paid, the FLISP funds were received and paid over to the employer. David made his first mortgage payment in June 2017. The next month, he got an SMS from the bank about his second instalment. The SMS included the balance of his loan, and the amount of his next instalment, barely legible because the screen on David’s feature phone is small, and cracked. He had two questions: why had the balance on his loan not come down by the amount he had already paid, and why was this instalment lower than last month’s? He was worried something had gone wrong, or that he might have done something wrong. David’s employer explained that the Prime Rate had come down, and so the instalment had some down, and that in the first years of a mortgage, capital repayment is low. A few months later, David’s wife opened the house door to relatives of the deceased owner of the house, who claimed the house was theirs. David’s employer called the seller, and told him what had happened. The seller promised to call the relatives and tell them to leave David alone. The employer called the conveyancer and asked him to send through copies of the title deed so that David would have proof that he owned the house if this ever happened again. Six months have passed since then, including a December / January period. David is at work, paying off his bond, living in his house. The transaction process is expensive. In total, David had to pay R16 005.60 simply to transact legally – over 10% of the purchase price for the house. If he had had R140 000 in cash, he might have chosen to buy the house informally and save himself the R16 000. The legal and conveyancing fees are in line with guidelines published by the law. The 2017 guidelines suggest a conveyancing fee for of R4 600 for properties up to R100 000 with an additional R700 per R50 000 or part thereof for properties from R100 000 to R500 000. The guideline notes that fees are negotiable and that the fees outlined in the publication are ‘merely guidelines and not minimum or maximum fees”. In practise however, it appears that the guidelines are implemented by all conveyancers and that very few clients negotiate discounts or waivers on standard fees. All the facts of this case study are true, but the sale itself is hardly representative of the experience of the average aspirant buyer in the FLISP target market. Buyers typically do not have access to bridging finance from employers; and sellers are not prepared to wait ten months for funds to be disbursed. Buyers also do not have access to senior managers at the banks who can assist with bond approvals, and officials at provincial Departments of Human Settlements who can assist with FLISP applications. Buyers might find it difficult to reach offices of conveyancers and bond attorneys during working hours, and are unlikely to be familiar with contract terminology and standard terms and conditions. In addition, they may not have a safety net if something goes wrong during the registration process when the property is in a legal ‘no man’s land’ and formally belongs to the seller despite cash having already changed hands. During this time there is no insurance on the property, and no protection for the buyer if the sale cannot proceed for any reason. Further, homebuyers and sellers do not have access to advice and information; interactions are not likely to be intermediated by trusted third parties who can provide a degree of confidence in unfamiliar processes. The challenge is to create a scalable, accessible and low cost formal transaction process that is trusted by buyers and sellers and protects the rights of both parties. Unlike the previous 20-34 m^2 RDP housing, BNG housing is 40 m2 with two bedrooms; a separate bathroom with a toilet, shower and hand basin; a combined living area and kitchen; and a ready-board electrical installation. RDP houses are ten years older than BNG houses, and thus less structurally sound. Lastly, RDP houses are often located on large plots of land on the outskirts of cities, whereas BNG houses are located within range of access to employment opportunities and schools.